Update: We were unable to use this mechanism at North Star as we encountered some safety hazards while we were trying to reset Narwahl on Thursday night. Our second try at a climbing mechanism! Narwhal 1.0 is our 20 point climb system or frisbee defense system. 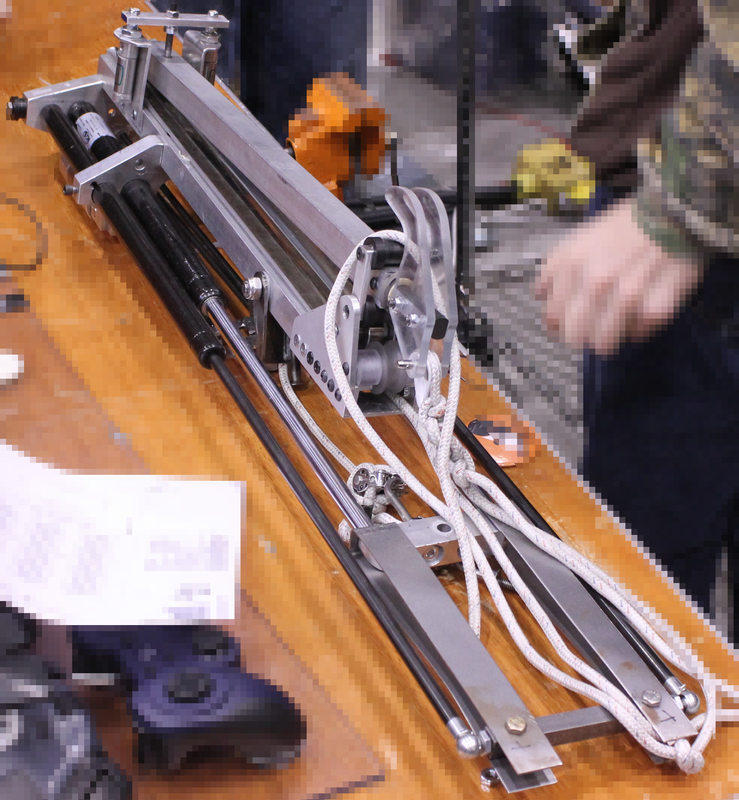 With 1,400 pounds of linear force, we have one of the strongest lifting systems in FRC! To put this weight in comparison, we could easily lift 1/10th of a school bus or we could lift a baby whale! Our Narwhal system also allows us ~5 more seconds after the buzzer to get a level 2 climb on the pyramid using our stored energy.